Our Fall Collection is really something special. Call us biased, but the silhouettes and colors work so seamlessly with our favorite fall pieces, we want the season to last forever. To understand what went into the creation of the collection, we asked our designer, Emily, to share some of her inspiration and favorite features. What about the Foldover and Backpack silhouettes felt right for the season? Fall is a time of movement and transition. We wanted to offer styles that our girl could sling on her back or over her body. Whether hitting the road or heading for the classroom, these shapes will help get her where she is going. We describe the collection as having enzyme-washed canvas. What does that mean? Enzyme washing is a technique used to give fabric that "well loved" look we all like. During the washing process, enzymes weather the dyes and soften fibers without compromising quality. We wear the bag in, so you don't have to! What inspired the colors of this collection and how do you see them working together to tell a story? We were inspired by the idea of the journey - winding roads and nature walks. Colors like asphalt, wheat, indigo and brick felt true to this story. We like how these colors bridge summer with fall. Inspired by the Blue. 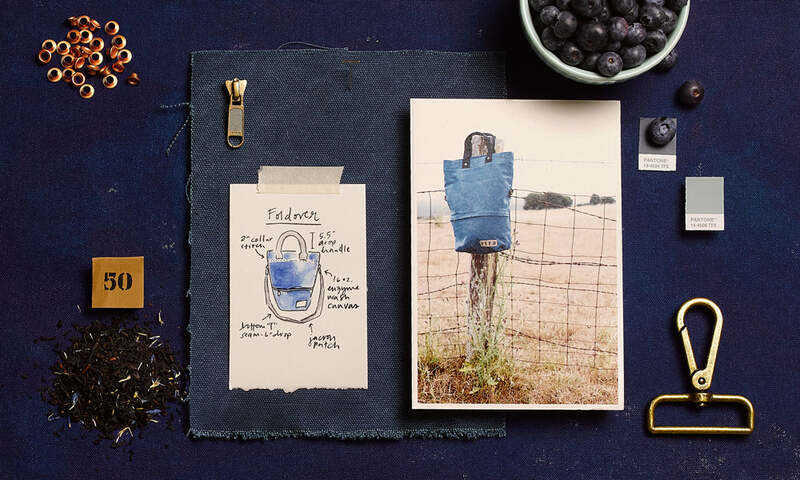 Our design team let indigo take center stage in the Fall Collection, pulling in elements of new (fashion-forward styles like The Foldover) and old (enzyme-washed canvas and antique gold hardware) to create something the FEED girl would want to wear everyday. When pulling inspiration for this collection, our design team sought out rich, natural tones and textures that allude to all the reasons we love the season. 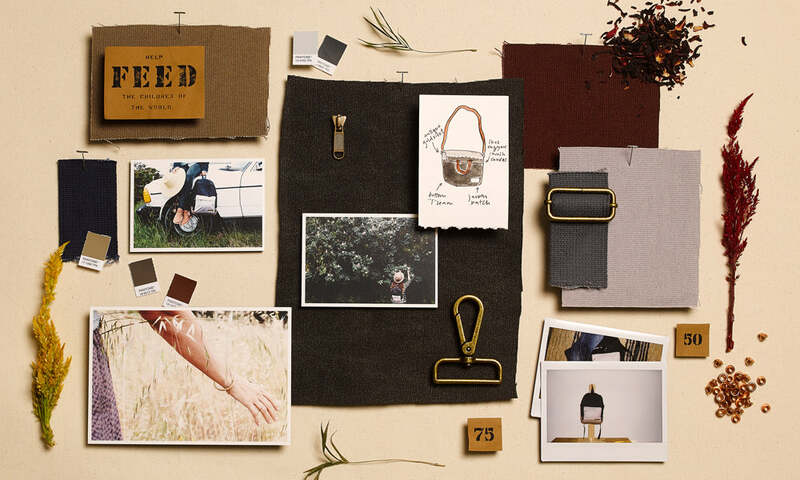 Shooting the bags in foggy West Marin, with its winding roads and fields of dried grass, felt very true to the intention of the design.